India's diesel consumption may rise to a record this year on increasing infrastructure spending by the current government as it tries to hold off challengers in general elections that will be held over April and May. Surging diesel consumption in India, the world's third-largest oil user, underscores the country's importance as a driver of global oil demand. Amid increasing concerns that crude demand growth may slip in 2019 because of slowing economic growth, India's burgeoning fuel consumption may help underpin oil and fuel prices. Analysts at Fitch Solutions and consultants Wood Mackenzie forecast India's diesel demand to rise in 2019 by 5.7 percent and 6.4 percent, respectively, from 2018. The country consumed a record 6.9 million tonnes of diesel a month in 2018, or about 1.7 million barrels per day (bpd), data from the Ministry of Petroleum showed. "There is strong energy demand which is bound to happen because of different sectors... We are a diesel driven economy," said Sanjiv Singh, chairman of Indian Oil Corp, the country's top refiner. "The bottom-line remains that energy demand is bound to grow. We're seeing GDP at more than 7 percent, (and) ... a lot of urbanization," Singh added. India's economy is expected to grow by 7.2 percent in the 2018/2019 financial year, which runs from April to March, versus 6.7 percent the previous year, according to government data. "Tied to a constructive GDP outlook - and alongside the country's positive demographics, low vehicle penetration and loose monetary policy - is our forecast for rapid growth in vehicle sales, which again will be positive for diesel," said Peter Lee, an analyst at Fitch Solutions, adding that diesel cars account for nearly a quarter of new vehicles in India. According to 2015 data, the latest available, from the International Organization of Motor Vehicle Manufacturers, India held 22 cars per 1,000 people versus 821 cars per 1,000 people in the United States. Election rallies, the deployment of polling officers and security officers will add to the diesel demand boost from infrastructure projects that the ruling Bharatiya Janata Party have planned ahead of the polls. The country's interim budget unveiled earlier this month allocated 190 billion rupees ($2.67 billion) for building roads in the countryside, where two-thirds of Indians live. "Increased travel activity for campaigning and implementation of infrastructure projects ahead of the elections will bolster diesel demand in the first half of 2019," said Aman Verma, a research analyst at Wood Mackenzie. 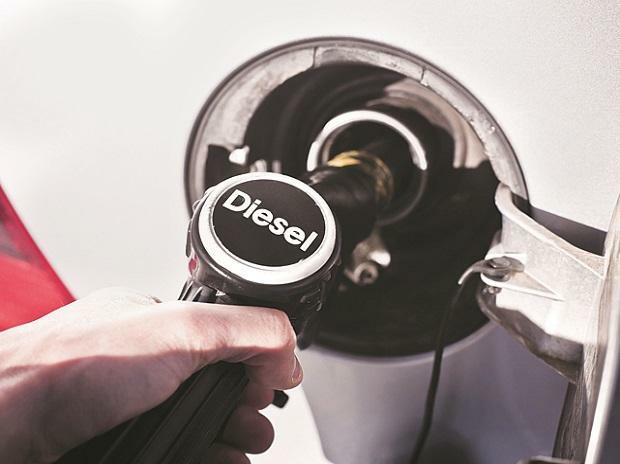 During the last general elections in 2014, monthly diesel sales averaged 6.2 million tonnes during the polling months, 7 percent higher than the monthly average sales that year. The implementation of a nationwide goods and services tax (GST) has also been beneficial for diesel demand. "The GST has led to the removal of interstate taxes. This is a structural shift, resulting in increased demand for heavy and medium-duty trucks to achieve economies of scale and operational efficiency," Wood Mackenzie's Verma said. Indian sales of commercial vehicles, which largely run on diesel, rose to a record last year, and Jan. 2019 sales climbed to 87,600, a record high for this time of the year, according to data on Refinitiv Eikon. India's diesel expansion will likely continue despite rising air pollution concerns, especially in the capital of New Delhi. The country's fuel standards have improved, removing much of the sulphur from the diesel pool. By April, the New Delhi capital region will adopt the so-called Bharat VI standard that is equal to the most stringent European standard, which the rest of the country will adopt next year. Diesel consumption also faces increasing competition from electric vehicles (EV). The Indian government has set a target of EVs making up 30 percent of new car and motorcycle sales by 2030 from less than 1 percent today. At the moment though EVs are not making much of an impact in India. Electric car sales actually declined by 40 percent to a mere 1,200 units in financial year 2018 over financial year 2017, although electric two-wheeler sales rose 138 percent to 54,800 units during the same period, according to Wood Mackenzie.